After the huge success of the honey and cinnamon weight loss recipe, now I present to your attention another interesting recipe with honey and cinnamon for lowering cholesterol. Mix the cinnamon and honey in a larger bowl, and add the 2 cups of tea (green tea). Take it 3 times a day. my husband is taking maintenance for his hypertension. is it safe to take cinnamon and honey for him to loose weight and to lower his cholesterol even taking medication? thanks. after drinking it in a few weeks, i have lost 5 kg already. i’m so happy. i still eat right. focus on nutrition. avoid junk food, sweets and drink a lot of water. exercises every day. but i still drink this 3 times a day. and i’m loosing weight so fast. my target is to reach 55 kg. before i tried this drink, i was only can loose 1 kg for a month of diet and exercises ( 98 kg to 94 in 4 month ). now… after try it i lost 5 kg in almost 2 month. it feel so great. i just want ot know. after i reach my goal, how often shoul i drink honey and cinnamon to maintain my weight? once a week? once a month? I need to lower my cholesterol and I have a question about the suggested recipe. 3 teaspoons of cinnamon, 2 Tablespoons of honey and 2 cups of green tea. Drink 3 times daily. Does that mean to consume 9 teaspoon of cinnamon, 6 Tablespoons of honey and 6 cups of green tea daily or do you make this drink then divide it into 3 servings? Gloria, I meant to make this drink and then divide it into 3 servings. DO NOT triple the amounts of ingredients! How many days i need to take cinnamon, honey and green tea mixture to lowering colestral level? My cholesterol is 259 and my weight is107 kilo. How many days a week I will drink the cinnamon, honey and green tea? 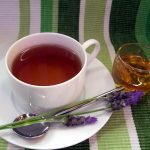 Is it safe to use honey cinnamon green tea mixture along with hypertension medicines to reduce weight? After the mix for cholesterol lowering, how many days in a week or for how long will I continue to take this 3x a day? Hello! Are you supposed to drink this hot or cold?